Kinless Chronicles | Random thoughts randomly. I just saw something that makes me want to capture it in a post. Over on WoW Token Info. The buy price of a token in the U.S., today, is 41,699 gold. When you hear a title is a “grind fest” what do you automatically think? Me too. WoW Token pricing actually follows patterns that you’d expect. Interesting. I think I can call it good now. My new 3-day mage will see all of Draenor’s dungeons. 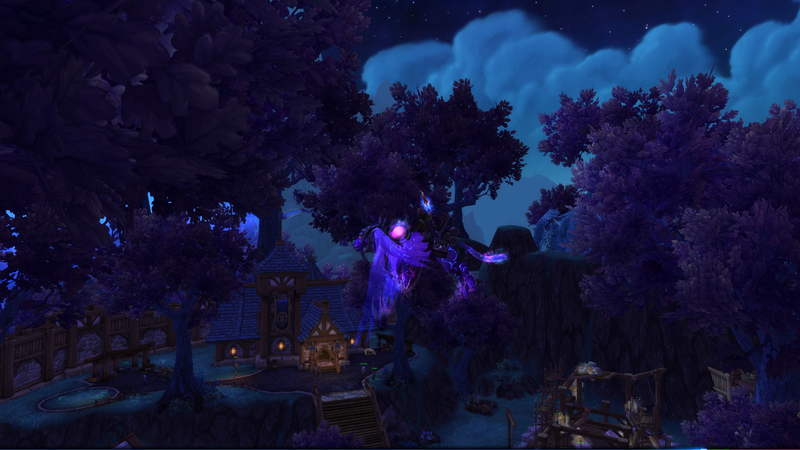 Flying in Draenor is pretty spectacular feeling. That’s days played, so certainly longer than 3 calendar days. This would be Virillustris, my Frost Mage. He is mostly a product of dungeon finder. Fully outfitted in heirlooms he held his own on the damage charts. I quested until I got flying in Outlands, then dungeons. 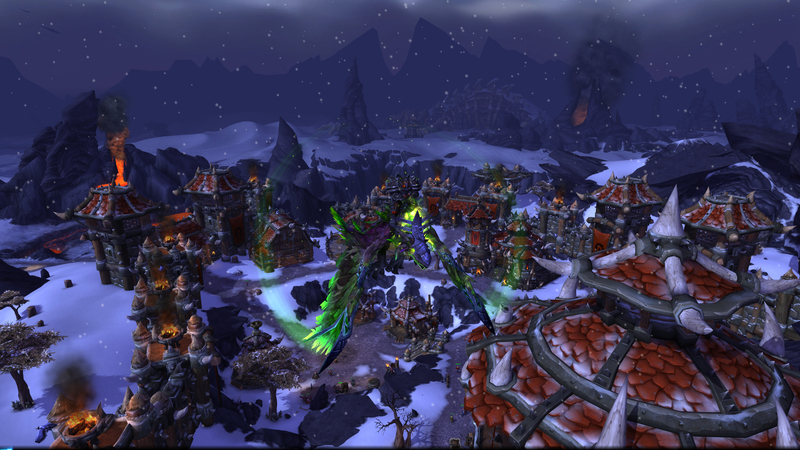 I knocked around Northrend with a few of the intro quests, but otherwise bypassed all content past the initial landfall. I never even ventured into Mount Hyjal or Vashj’ir, or anywhere beyond. Panderia, I fought my way off the attack ship and into the inn there. I set it as my home, because I’m a mage and it doesn’t really matter, and that was it for questing outside of dungeons in Panderia. Now I command a Garrison in Draenor. And I have to quest to acquire the followers. Dungeon Finder is a really great tool. See content while you play your class, and otherwise, while waiting for the next dungeon to pop, be able to just chill, relaxing with music and reading the internet. I’ve got some fairly high days played on my other characters. The raiders. But 3 days played to level 90? It went by in a blink, comparatively. I’d hope I can do the same for my Warlock. The fact that their class hall is on another freaking planet come Legion is kind of cray cray. The next expansion is announced and will feature the Demon Hunter as the new heroic class. One of it’s heroic moves? Double jumping. Ala Wildstar. It looks cool, but is it too much? On the other hand, reaching 100+ levels, why aren’t we more like Illidian Stormrage, less like Marshal Dughan of Goldshire. The new Tauren have moose antlers. We find the good vyrkul. I think TAGN predicted more f’ing Orcs. 😉 We finally got an elf-centric expansion. Nice. I’ve been playing WoW daily, still. If anything, I run through the followers on each of my level 90+ characters. I’m not gathering the resources anymore, and I’m not bothering to try and sell an i630 axe or staff anymore for the once astonishing 10,000 gold. I’ve been making gold, and picking up i655 and i670 gear, just running the little money-making machine called my garrison. Every time I got close to having 200,000 gold (!) I went and did a mega-purchase. The first was the Vial of Sands so I can turn into a FLYING taxi for my wife. (I actually picked it up for 22,000 gold, when it now sells for 44,000 gold or more.) 22,000 was actually cheaper than the base mats alone. And it meant my archealogist could at last stop looking for the required drop. And while I was on a roll, I picked up the Ice Mammoth that can carry two passengers. Something I’d never done because it cost several thousand gold. Something I never had, not like this, until the Garrisons came around. Now I’m on track to regain 200,000 gold, just doing Garrisons, next week. My three main characters are decked out in low level epics. My followers are all 25/25 i675 armor and weapons. But now I do care about flying around Draenor. Why? For something to work on again. I paraphrase a baseball legend, garrizon been berra berra good to me. A couple of days ago my screen started blacking out. The system was running, but the screen would just go black. Then it started happening on boot up. System running, no screen. Even the bios splash screen wasn’t showing. Obviously a bad graphics card. So I pulled out the not that old GTX760 and plugged in a GTX750 I found at Best Buy. The GTX760 has two connections to the power supply. The 750 gets it’s power from the PCI slot. The box says the 750 expects 400W power supply. And I’ve got a 650W unit. Then the 750 started doing the same thing. I could boot, fire up WoW and Landmark, but it would soon go black on me. So it wasn’t the graphics card. Back to the store it went. I joked with customer service. “I can build a computer from the motherboard up, but I can’t open a cardboard box.” (It didn’t make sense to me how they thought the box should open so I cleanly sliced it open on the long edge. The side of the box just pulled out.) They refunded it. And now I’ve ordered a new PSU from Amazon.com. In the reviews of my old model they said “It’s an acknowledged issue for these RM units below stock number X.” Amazon won’t take the return, I’ve had it too long. Oh, well. That’s me. So I ordered a different make, and 850W just to be sure. But, in the mean time, I’m using the graphics chipset on the motherboard itself. I always assumed those graphics were pretty basic. Just enough to boot, show a screen, from which a graphics card can be installed. But, wow, this on-the-motherboard graphics chip is actually good enough to run World of Warcraft, and it looks so good I forget my case is pretty much an empty shell without the honking twin fanned with cooler graphics card in it. Playing graphically rich video games it should be like me functioning without a brain. MSI Computer Corp. Motherboard ATX DDR3 1333 LGA 1150 Motherboards Z87-G45 GAMING – good motherboard! But World of Warcraft looks just as good without a graphics card AT ALL as with a pretty good one. And we wonder why World of Warcraft is successful? It gets so much more right than it might get wrong. Ten expansions later, with imagery never better, and it runs on the default graphics chip. I remain impressed. WoW Insider, may she rest in peace, has returned as Blizzard Watch. My daily fix, with clean, uncluttered articles, to see what’s going on will continue without a hitch. I like the name too.